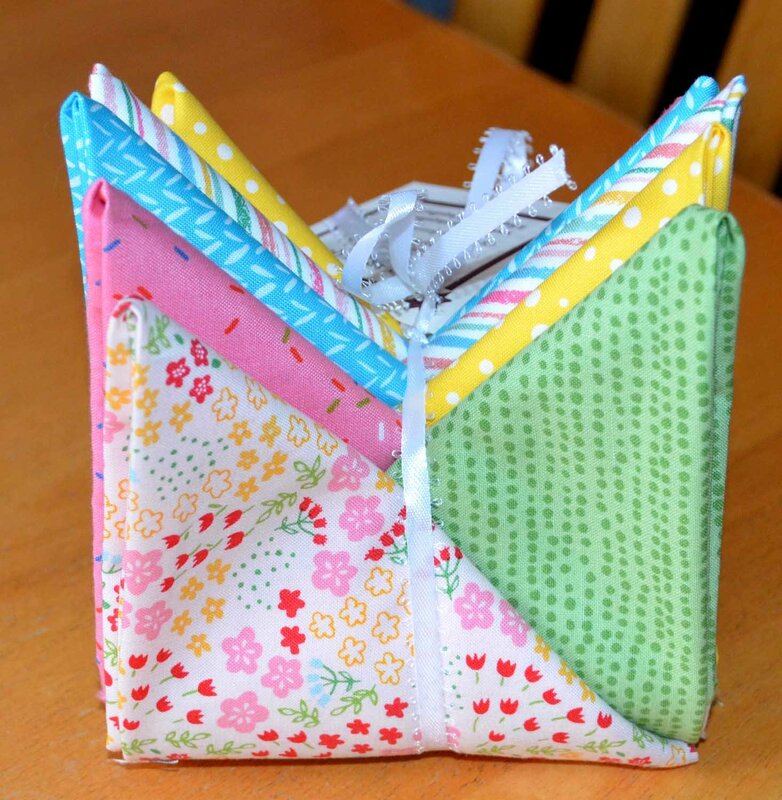 Use this pack of six fat quarters to make something springy, and brighten someone's day. Here in Vermont, we try to nudge our way into spring. This group of bright, happy fat quarters will do just that. Use these six fat quarters to make an Easter basket, an Easter bag, or even an Easter dress! They can also be used to create an adorable baby quilt. Don't these prints just make you smile?